To see all those legendary vehicles right in front of you will certainly give any fan goosebumps. It´s one thing to admire them on the big screen – but to actually have them on display in your reach… well, you obviously cannot touch them. But you can go around them, marvel at the detailed design (or in the case of the “Quantum of Solace”-Aston Martin DBS feel shocked at the level of damage it has suffered during the PTS). Also, you wonder how uncomfortable it must be for the actor to actually sit in these cars and mini-planes. Especially the Acrostar must have given Sir Roger some claustrophobic moments. 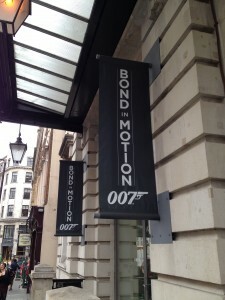 Housed in the LONDON FILM MUSEUM in Covent Garden, “BOND IN MOTION” is an absolute must-see for any fan or film buff. It is splendidly presented and absolutely worth the price of admission. EON obviously wants to branch out (and fill the longer gaps between Bond films) by producing other films. The latest project mentioned as a production for Sony is a movie about whistleblower Edward Snowden. Does that mean that after BOND 24 there will be another three-year hiatus? Almost five years after the old German Bond fan club Bondklub Deutschland (BKD) ceased to exist, there’s an upcoming interest in founding an all new club for the German fans. There are plans for a website and a magazine, as well as events and location trips. No name has been chosen, yet, as currently, everything is still in state of “discussion”. So, if you are German, or speak German (both is not mandatory, but does help) and want to contribute or just be part of it, all this is currently being discussed on Facebook in this group, but also on the German Bondforum in this thread. Wanna see Daniel Craig live on stage? Together with his wife Rachel Weisz? Directed by Mike Nichols? No problem – if you have time and money to go to New York this fall and get a ticket for probably THE hottest Broadway production of the year. Craig and Weisz will star in Harold Pinter´s masterpiece Betrayal which will play a limited 14-week engagement at the Ethel Barrymore Theatre. It begins performances Oct. 1 and will end on Jan. 5. Barbara Broccoli still wants Mendes back. While it’s pretty apparent by now that Mendes isn’t coming back for Bond 24, it seems pretty likely he’ll be directing a Bond film in the near future, probably Craig’s final one, which actually would be pretty neat. Empire broke this story and got an official response from EON: Sam Mendes will NOT return to direct Bond 24. Which leaves all sorts of possibilities open now, even a better time table for the production which could not have started before the beginning of 2014 due to Mendes´ theatre projects. So, who will take over? John Logan is a very busy man as he will not only write Bond 24 and 25 but has also now landed a “high-concept drama” he concocted with Sam Mendes at Showtime, home of the massively successful series “Homeland”. 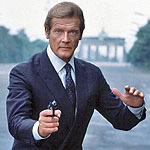 It will be interesting to see whether and how this workload will impact on Mendes´ schedule – should he return for Bond 24. 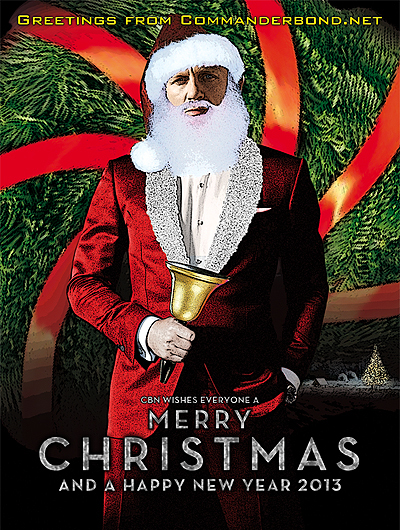 Also: Could Logan have time now to focus on his new tv show because… he has already written his first draft of Bond 24? I just want to wish everyone a Happy New Years, and hope that those of you that did party last night did it safe and responsibly. Award season has begun – and the SATELLITE awards love SKYFALL: the latest 007 adventure was nominated in seven categories, including BEST PICTURE. Who would have thought? Maybe that´s a beginning of a trend?